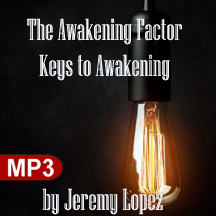 In this series, Jeremy discusses the different points that help you to awaken and stimulate your spirit. There are things within the word of God that help us face our fears and awaken through the reality of this world into a new world where we see ourselves completely whole. This is the time for all of us to awaken and be alert and receptive to the call of God upon our lives.